• Before the multiple ankle injuries, Grant Hill regularly flirted with triple-doubles for the Detroit Pistons. He did it all while wearing the FILA Grant Hill, one of the most recognizable basketball sneakers ever created. This sneaker is undoubtedly FILA's best-selling shoe to date. 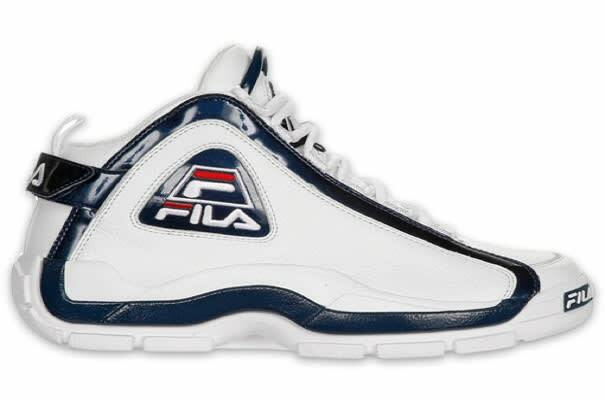 After sharing 1995 NBA Rookie of the Year honors with Jason Kidd at the end of the season, FILA reported that it sold 1.5 million pairs of Hill's first signature shoe. It was the fastest-selling sneaker since Air Jordans.